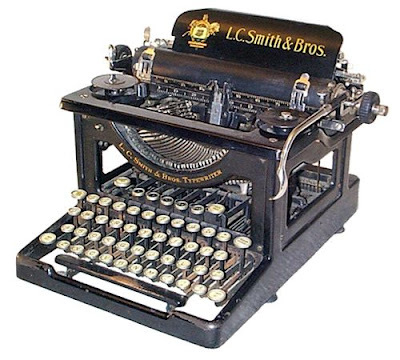 Lots of steampunkish hybrids of old school typewriters and modern computing power. Lots of oak, marble and brass! Sweet! Here is the url tinyfies if the longer one doesn't work for you. 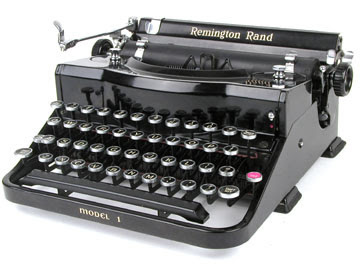 I was just telling my husband that I would really like a classic typewriter. It doesn't have to be anything pricey or fancy - just organic and clicky. I used to love to type on my dad's (and hate starting over every 6 words because of mistakes). You've just amped up my urges! What a collection of typewriters! I still prefer writing on paper, than with a computer. It is sad how much the printed word is changing because of the internet. 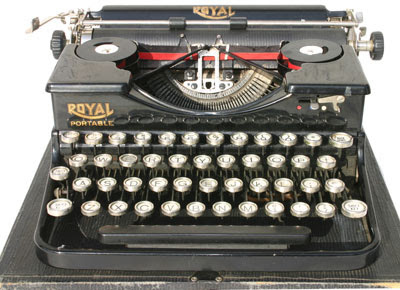 I learned to type in the army on a mechanical typewriter and still do it proudly with 2 fingers and improper positioning, it prevents wrist problems. First time when I was assigned to type something I wasted a night and a rim of paper and still didn't finish two pages. not sure about passions being hereditary but I think it can be influenced. 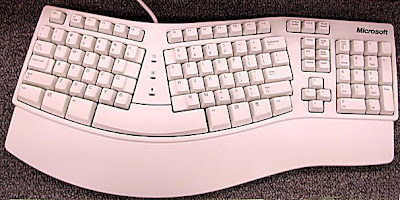 For example, if you display the "keyboards", eye them adoringly and speak about it with passion, perhaps Darling has picked it up already that they are your precious! This is a little late, but I found this article the same day I read this post. Thought you might like. 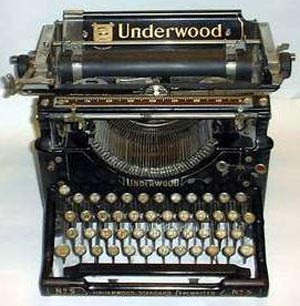 i just discovered your blog by total accident while doing some internet searching for underwood typewriters (i bought my first yesterday at a vintage sale). mine looks very much like the one you have picture here. i've read around on your blog a bit... and although it's probably weird to say, this is blogland, so i feel okay... i think we'd be friends. oh, and i definitely envy your collection.